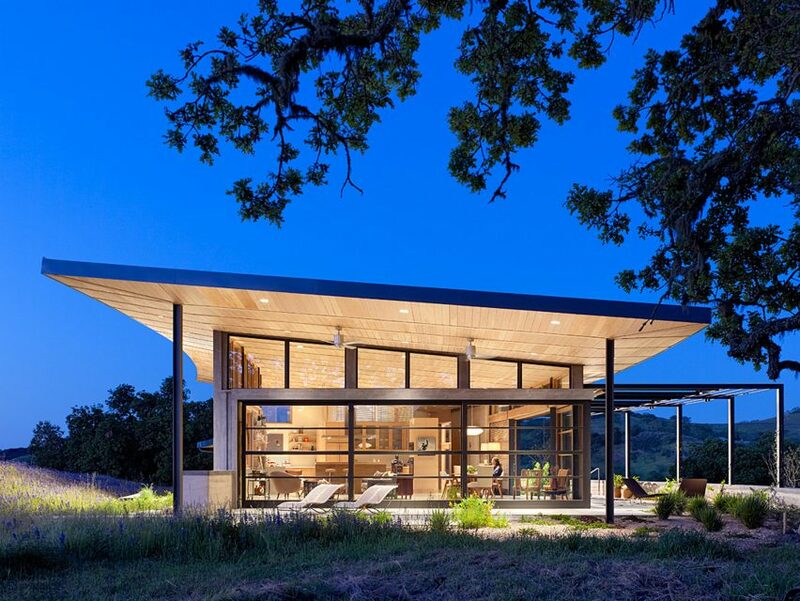 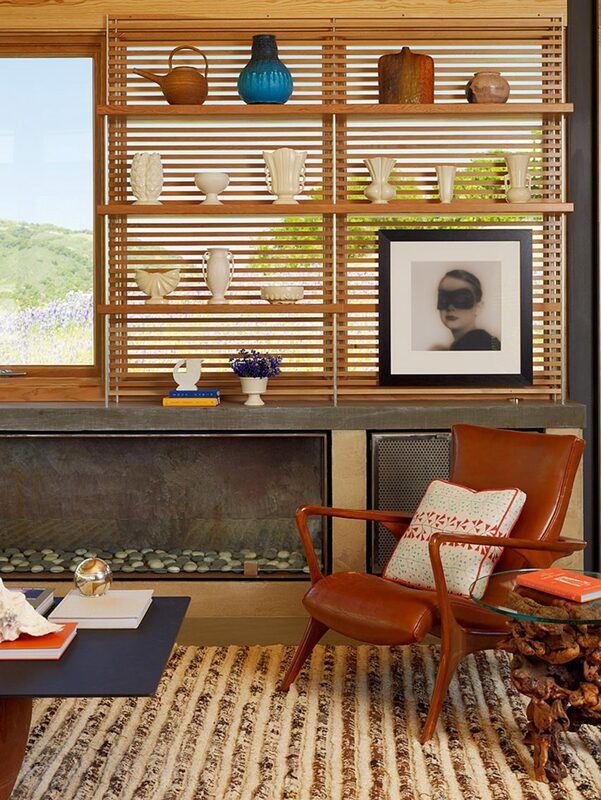 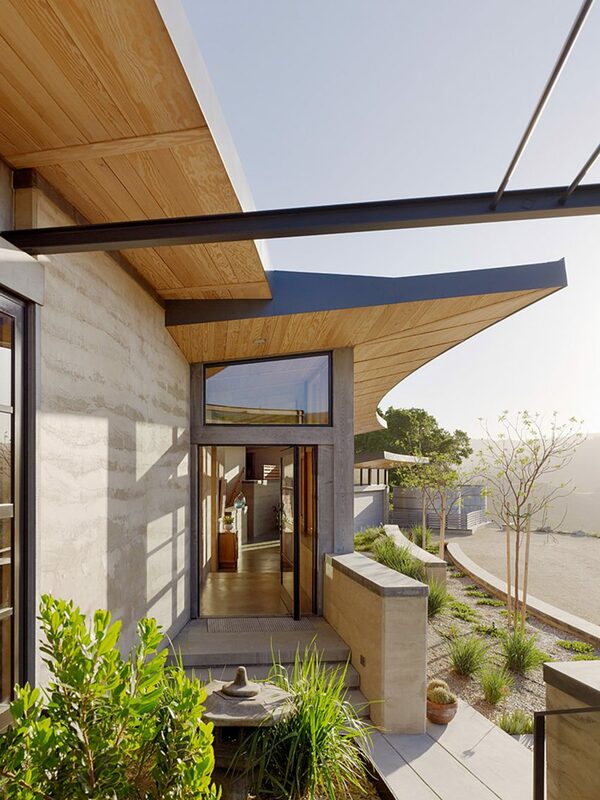 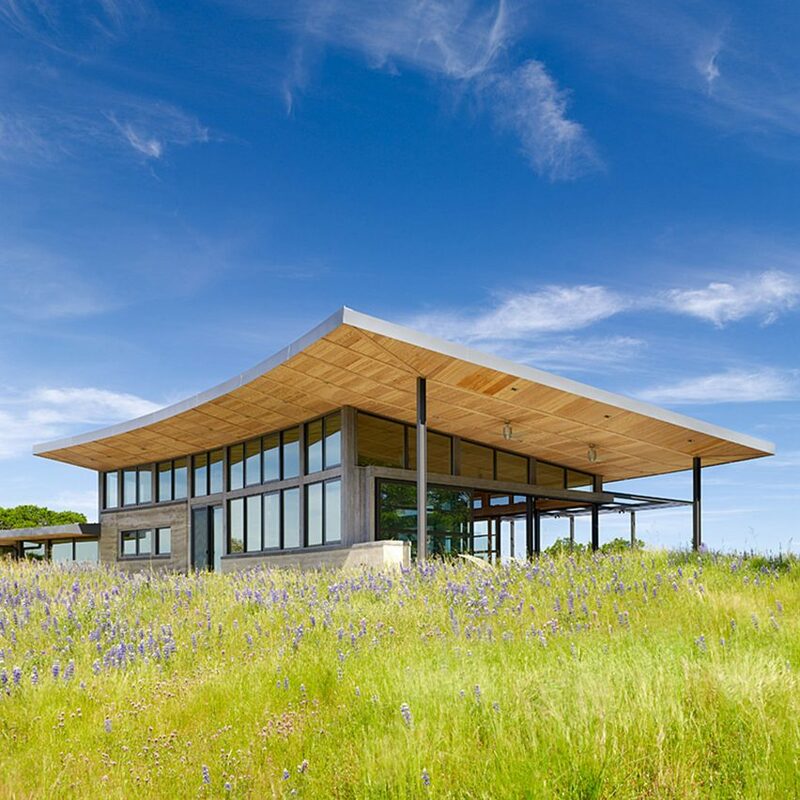 “Having lived in a Cliff May home, the client came to the project with a love of modern ranch houses and looking for an environmentally conscious response to a beautiful site,” said Feldman Architecture, a San Francisco-based studio that designed the Butterfly House, also located in the Santa Lucia Preserve. 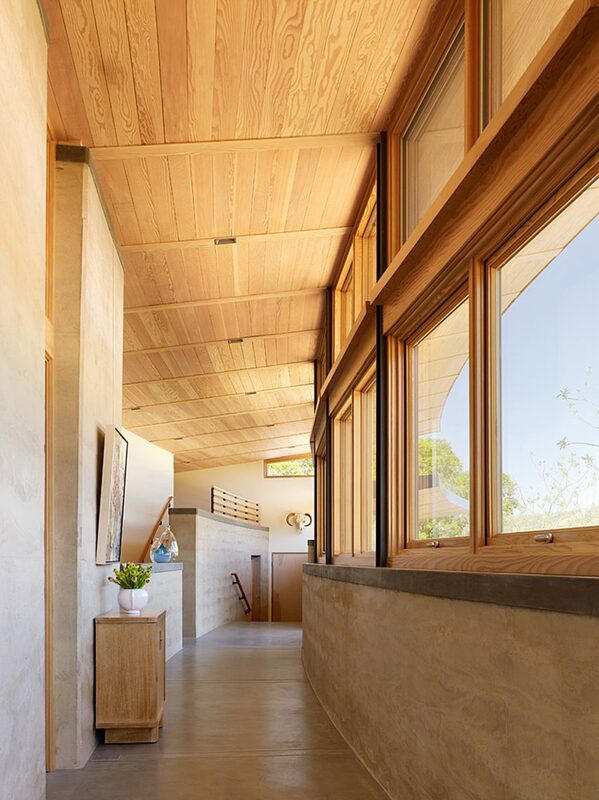 “These rammed earth walls gently curve in response to the site’s contours and also act as a thermal mass, regulating temperatures from day to night,” the team said. 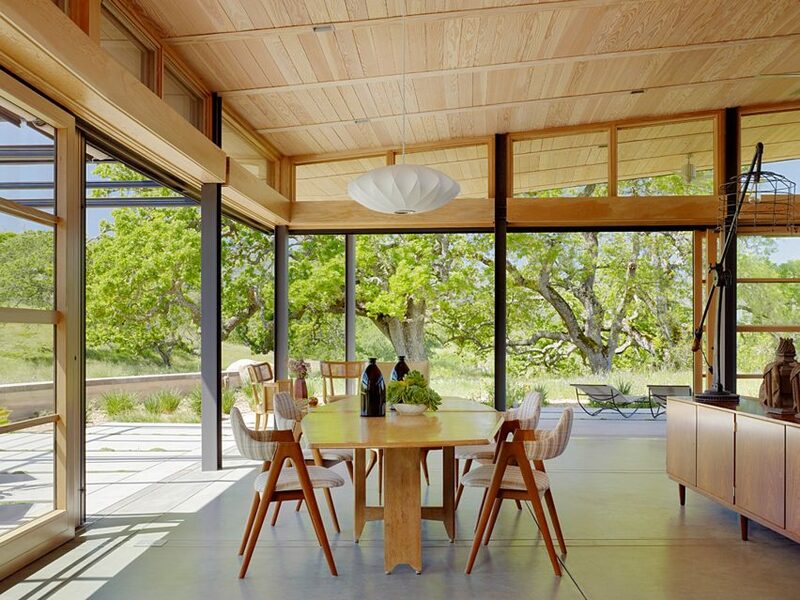 “The glazing, natural ventilation and operable shading act as a passive heating and cooling system,” the team said. 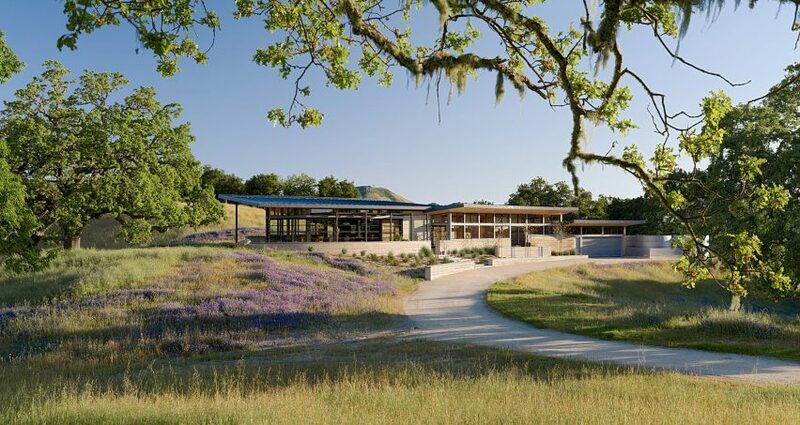 Additional sustainable elements include integrated photovoltaic panels that help meet the home’s energy requirements, and three large tanks that store rainwater, which is used to irrigate the property. 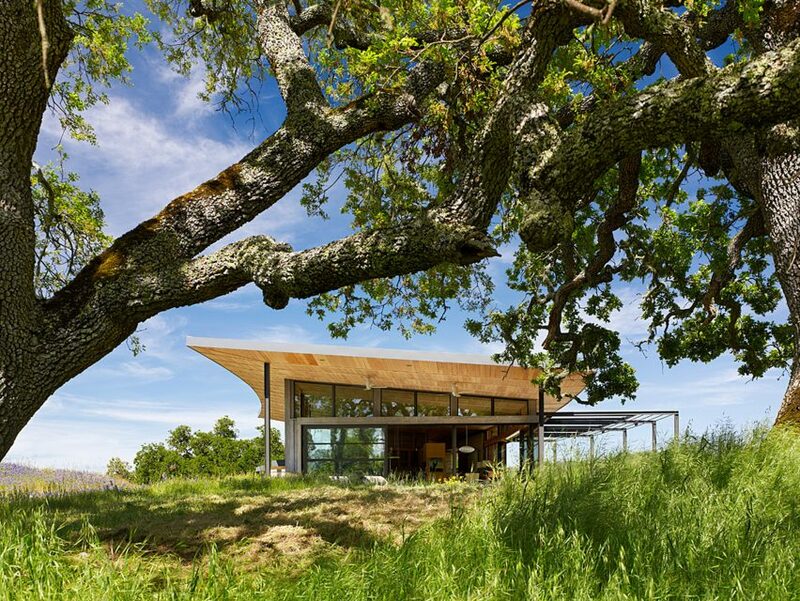 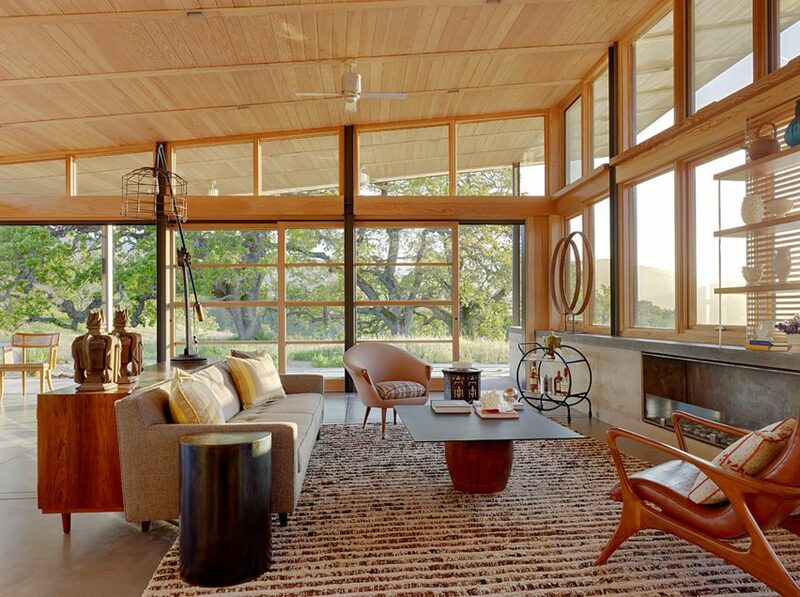 The Caterpillar House was the first home along California’s Central Coast to earn LEED Platinum certification from the US Green Building Council, according to the firm. 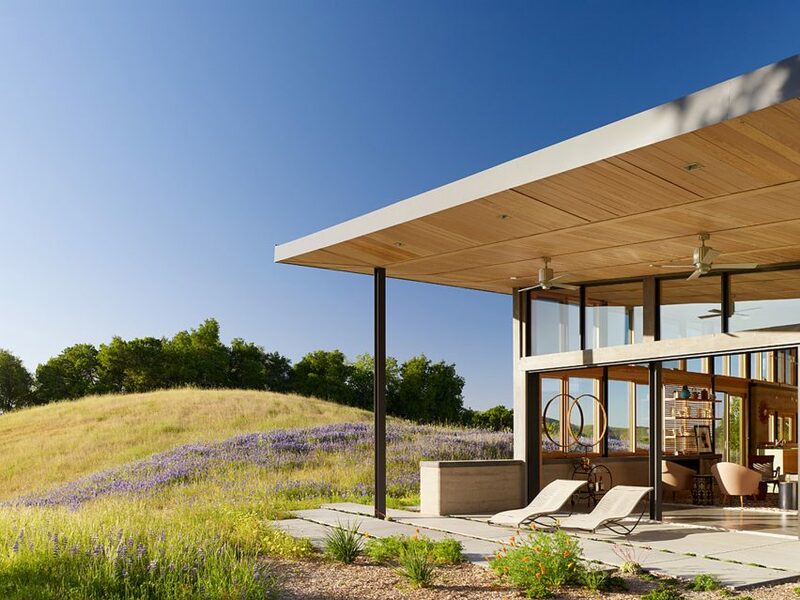 Feldman Architecture’s other projects in the state include a wood-clad residence with glazed garage doors in Sonoma Valley, and a San Francisco townhouse with a rooftop garden and an indoor swing.